In Burger Shop, you successfully created a universal chain of restaurants and found fame and fortune... Until one day, you found yourself in a dumpster with a bump on your head, your restaurants boarded up, and no memory of how any of it happened. 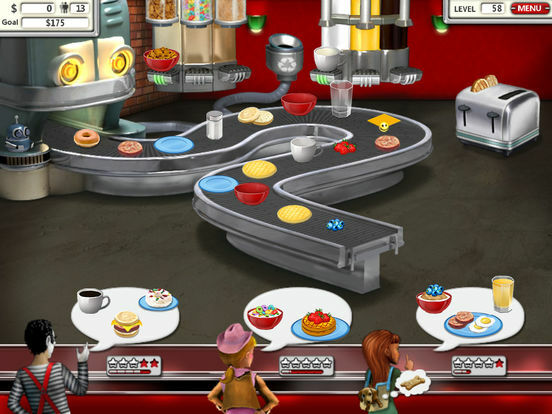 Now in Burger Shop 2 you must rebuild your restaurant empire, adding new twists to your menu to entice new customers while uncovering the truth about what happened to your original restaurant chain. 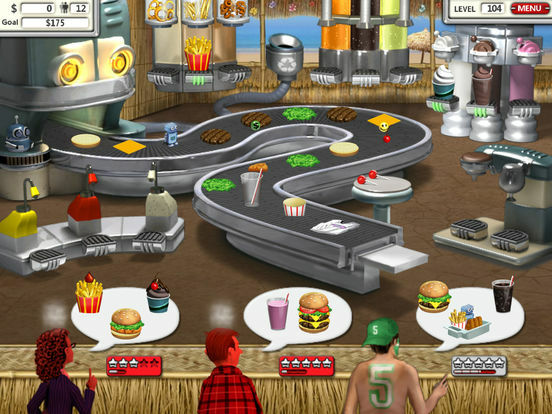 Grab ingredients from the BurgerTron 2000 to create tasty food items to serve hungry customers in this fast-paced food making game! If you like your time-management games challenging, surreal, and visually unspectacular, you won’t be disappointed. 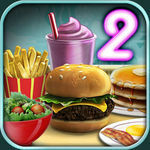 In terms of presentation, Burger Shop 2 isn’t a particularly cutting edge example of mobile technology. 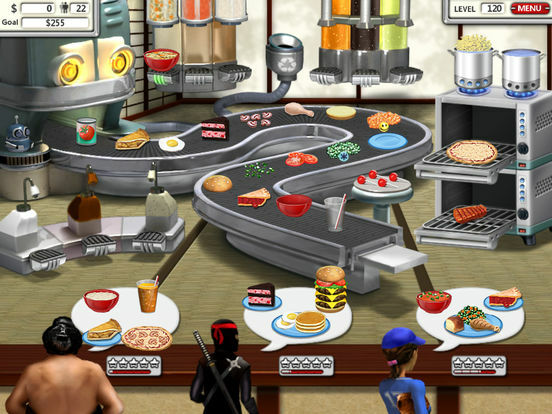 The graphics are cartoony but basic, and on smaller screens the food items can be tricky to isolate. 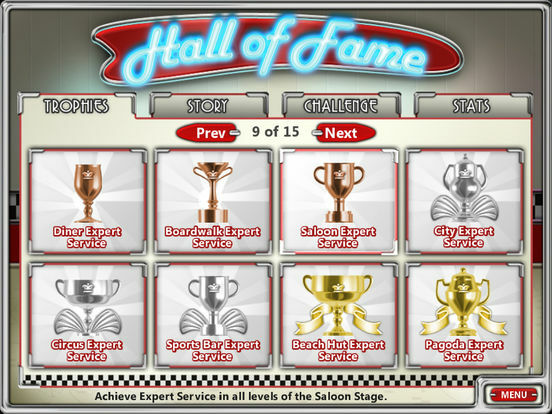 But the surreal story is a lot of fun, and the gameplay is deceptively deep. 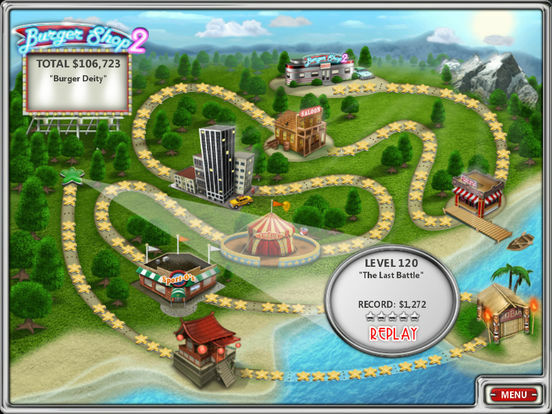 If you’re in the market for some casual time-management, Burger Shop 2 is well worth downloading.